The heart of our school – our Media Center – supplements the curriculum as literacy, technology, science and math skills are combined to enrich the educational opportunity of every student. Our school motto, “The School with the Heart of Gold” reflects the enthusiastic and caring commitment to life-long learning shared by students and staff. •Kindergarten – studies basic environments and principals of conservation. •First Grade – studies the pine flat-woods. 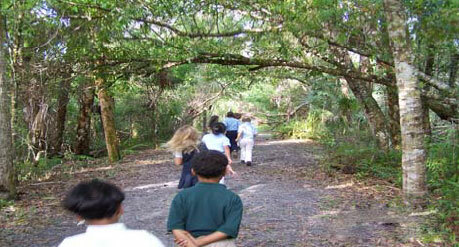 •Second Grade – studies characteristics of a Florida scrub. •Third Grade – studies the hammock. •Skills and commitment that result in responsible behavior and constructive actions related to the environment and wildlife.